The article focuses on Sukuk, in the framework of Islamic finance and its possible role in the economic development of the Muslim world. Sukuk, as a new financial instrument, opened doors since 2001-002, for drawing funds from international sources. The article, firstly, pinpoints incorrect practices in Sukuk experience (2001-17), which ought to be removed, in order to ensure the Islamic authenticity of such an instrument. Secondly, we search possibilities of employing genuine Islamic Sukuk in ways that would maximize their role in financing the development of Muslim countries. Some proposals are presented for how Sukuk can possibly support the investment activities of SMEs, as well as opening new avenues for financing promising business ventures and corporates in industrial and service sectors. Abdel-Rahman, Yousri, (2005), “Islamic banking modes of finance: Proposals for further evolution.” In Munawar Iqbal and Rodney Wilson (eds). Islamic Perspectives on Wealth Creation: Studies in Honour of Robert Hillebrand. Edinburgh: Edinburgh University Press. Abdel-Rahman Yousri A., (2013), “Islamic Modes of Finance and the Role of Sukuk’’, in QFINANCE (Bloomsbury Information Ltd in partnership with QFCA). Abdelrahman Yousri Abdelrahman,(2014), ‘’Fundamental Issues in Islamic Economics’’, Lambert Publishers. 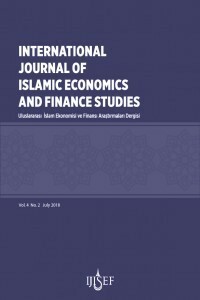 Abdelrahman Yousri A., “Does Islamic Banking help in Economic Development of Muslim Countries?”,Vol.6 No.2, 2016 (December) Issue of the JIBM pp: 19-39. Accounting and Auditing Organization for Islamic Financial Institutions (AAOIFI), Decisions with respect to practices in Sukuk market which are Sharia incompliant ( Report in Arabic of three meetings: Jun 2007, Madinah Munawara, September 2007, Makkah, and February 2008, Bahrain). Ibn Khaldûn, Abdelrahman, (2015), “The Muqaddimah: An Introduction to History” - Abridged Edition by N. J. Dawood (Princeton Classics). Iqbal, Munawar, and Tariqullah Khan (eds),(2005), "Financial Engineering and Islamic Contracts", New York, NY: Palgrave Macmillan. Kabir, M. Hassan, and Mervyn K. Lewis (eds), (2007), “Islamic Finance: The International Library of Critical Writings in Economics”. Cheltenham: Edward Elgar Publishing Ltd.
Monzer, M. Kahf, (1997), ‘The use of Ijara bonds for bridging the budget gap”, Islamic Financial Instruments for Public Resource Mobilization, Ahmad, Ausaf, and Tariqullah Khan (eds), Jeddah: Islamic Research and Training Institute, Islamic Development Bank, Seminar Proceedings, Number 39, 1997, p. 293. Muhammad al-Amine, Muhammad al-Bashir,(2003), ‘The Islamic bonds market: possibilities and challenges’, International Journal of Islamic Financial Services (Volume 3, Number 1 2001),Mark Fisher and Zoe Shaw, eds., Euromoney Books, London. Rifaat, Abdel Karim Ahmed, and Simon Archer (eds), (2002), “ Islamic Finance: Innovation and Growth. London: Euromoney Books. S&P, Global Ratings, “Global Sukuk Market Outlook: Another Strong Performance..? P.2, January 7, 2018. Vogel, Frank, and Samuel Hayes, (1998), "Islamic Law and Finance: Religion, Risk and Return", The Hague: Kluwer Law International.